Spring buds are in bloom with soft color. 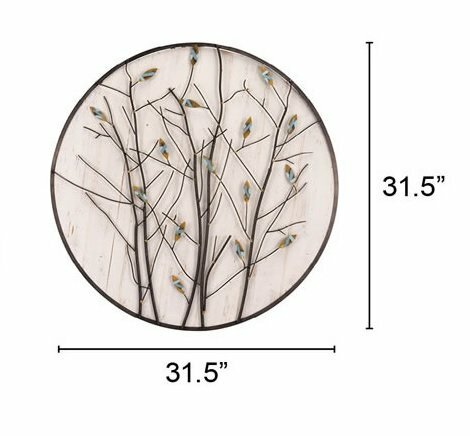 Metal trees are mounted on a slightly distressed round wood panel for added texture and dimension. Hang it in an entry or living room. Double it up with it's companion piece for contrast.